Choose Yourself Financial, a division of Agora Financial, is seeking a creative, forward-thinking, and organized social media specialist to manage the strategy, execution, and growth of their social media campaigns. The Choose Yourself marketing team is a great place to take the next step in your career. They are a motivated, results-driven bunch who wake up every morning hungry to find ways to improve their marketing and make an impact on the business. This position is not for everybody, if your goal is to simply ‘punch the clock’ please do not apply for this role. If the thought of driving real, measurable results does not get you excited, please do not apply for this job. If you want to watch YouTube videos or chat with your friends on Facebook while at work, please do not apply for this job. If you are up for a challenge; however, are a hard worker, and enjoy a dynamic, fast-paced environment, this job may be for you. Candidates must be creative, organized, driven, and eager to learn and make an impact on the business. They should also demonstrate a high level of organization, a willingness to constantly learn, and collaborate with co-workers. This is an incredible opportunity for anyone interested in taking the next step in their career. The sky's the limit for the right person as a marketer in their organization. You just need to be willing to show you will work for it… Responsibilities In this position, you will be the owner of social media management responsibilities across all social media properties. This includes major social networks Facebook, Twitter, Instagram, LinkedIn, and others. The Senior Social Media Manager has 3 primary responsibilities: Manage their ongoing social media presence by generating and posting relevant, creative, engaging content for their followers. Grow their social media audience on each platform and leverage google analytics tracking and reporting to measure results. Monetize their social media presence by converting followers into email list subscribers. This is a senior position, and you will be held accountable for managing, growing, tracking, and monetizing their entire social media program. Furthermore, you will be expected to communicate strategy, progress, and results to senior stakeholders across the organization. You will have direct access to their design and editorial teams to help create the best content for each medium. Ultimately, it will be your responsibility to manage, grow, & monetize their social media presence across all their active platforms. Management Create and maintain company social media pages and profiles. Build an ongoing social media strategy, marketing plan, and social media calendar. Write, develop and manage their social media production and posting plan. Manage Facebook groups. Generate, edit, publish, and share content daily (original text, images, and video). Build meaningful connections and encourage community members through dialog and messaging. Moderate user-generated content and messages appropriately, based on company and community policies. Assist with crisis management, bad reviews, and negative news communications. Work with marketing, production, editorial, and copy teams to manage company reputation, and coordinate promotions. Growth Own ongoing strategy and execution for growing followership on each platform. Grow Facebook group membership and engagement. Develop and implement creative growth strategies (giveaways, engagement campaigns, video content, cross-channel promotion, etc. ) Determine which platforms they should (or should not) be active on, and how many resources to allocate to each to maximize growth. Implement tagging/tracking systems to accurately track all social media campaigns in Google Analytics. Own reporting and tracking of all social media growth and success. Communicate this information to Marketing Director and other senior stakeholders. Monetization Develop channel specific strategies for driving social media traffic to their website, to convert them into email subscribers. Own reporting and tracking of conversion rates for each network and campaign over time. Understand customer LTV per channel, and use that information to inform their strategy and investment in each channel. Communicate overall success of social media to senior stakeholders using monetization as the key metric. Stay abreast of ongoing marketing activities, and leverage them to monetize social media followers when appropriate. Qualifications Bachelor’s degree in marketing, communication, or related field. 5+ years’ experience managing social media campaigns and strategy. Strong familiarity with the primary social media platforms (Facebook, Twitter, YouTube, LinkedIn, etc. ). Strong familiarity with Google Analytics and website analytics metrics Strong understanding of social media metrics; ability to interpret the results and take action to increase effectiveness of social media campaigns. Strong understand of web conversion metrics, and an understanding on how to track and measure users taking targeted action on web properties. Strong content creation skills. Comfortable independently creating social media post content. Strong written and verbal communication skills. If interested, please submit a resume and cover letter to the link provided. About Laissez Faire and Agora Financial Laissez Faire is a division of Agora Financial. They provide independent economic and alternative health ideas to help everyday folks live a more independent, healthy and wealthy life. They publish these ideas through print and online publications. Agora Financial is all about "fat-tail" ideas. Everyone on the team needs to be OK with continuous testing. Which means they also need to be OK with failing. At AF, failing = learning. And the minute you stop taking chances, shaking things up, and exploring new ideas is the minute you fall behind. They believe in putting in the hard work, and pushing one another. They believe that personal growth and development of individuals is only a small piece of the pie. And that the real wins are higher quality products for subscribers, and success for the team at large. . WANTED: Director Of Marketing (Customer Monetization and Retention) St Paul Research, the premiere division of Agora Financial located in Baltimore, MD, is looking for a Director of Customer Monetization and Retention to oversee the company’s customer monetization and retention efforts. Their company is growing at an astounding pace. Every day they’re adding hundreds of new, paid subscribers to their readership base (slating them as the fastest growing division of the Agora Companies). They’re looking for a motivated “needle-mover” that can develop a vision for their customer journey and manage a marketing team to make it happen. Are YOU the one that can help them grow a relationship with their readers to increase lifetime value? With tremendous acquisition growth also comes your unlimited upside for personal incentives. As the Director of Customer Monetization you’ll be in control of your own financial destiny with the easy ability to make a comfortable 6-figure salary. Oh, and if professional growth and long-term job stability is what you’re after… You’ll be joining a fast-moving, but professional team at Agora, with decades of lessons learned in the financial publishing industry. Plus you’ll be able to enjoy a vibrant company with a “start-up” feel. If you want to be part of brand new growth opportunities and build the team of your dreams, this is it. The ideal candidate will possess demonstrated marketing acumen with experience in digital marketing and a direct response environment. Here’s the fine print… Responsibilities Manage a team of marketers. Know (and learn) their customer’s wants and desires, to increase lifetime value. Build and maintain working relationships with publishers, other marketing directors, advertisers, strategic partners, copywriters and other vendors. Conceive, develop, and implement innovative marketing strategies to grow and retain publication subscribers. Measure, analyze and optimize marketing campaign data and prepare recommendations Collaborate closely with stakeholders including copywriters, sales, editorial and web teams to deploy marketing efforts. Develop and grow “monetization” lists for social media, SMS, push notifications and more. . . Execute tests and provide analysis/recommendations to continuously improve the customer experience and drive sales. Collaborate with Customer Acquisition Director and media buyers for planning and budgetary controls of all digital and print marketing. Primary responsibility is to communicate data and ensure positive ROI that meets company’s goals and targets. Qualifications Knowledge and understanding of Agora systems is a HUGE plus. Demonstrated marketing and advertising expertise is a must. A focus in web or email marketing is preferred. A strong desire to grow a “tribe” customer base using a variety of online and offline outlets. Familiarity with email, affiliate, SEO, display, social, (CPM/CPC/CPA/CPV) and other marketing tactics is a must The ability to discern great marketing copy from the mediocre is recommended A leader and team-builder with a passion for working with creative people is mandatory. Demonstrated ability to understand and discuss new technical concepts and schedule tradeoffs with technical employees. Ability to work effectively in a fast-moving, multi-project environment The ability to clearly articulate and present strategies, recommendations and results to team members is required. Strong management skills with a proven ability to drive projects to successful completion is required. An understanding of the digital ecosystem and how web, email, social, search and e-commerce channels work together to optimize behavior, acquisition and sales is encouraged. This position requires an individual with creative, data-driven, entrepreneurial spirit with exceptional writing, communication/presentation and influence skills. If you’re looking to take your marketing career to the next level. With the ability for huge upside both professionally and personally. Let’s talk. About Agora Financial Agora Financial provides independent economic and alternative health ideas to help everyday folks live a more independent, healthy and wealthy life. They publish these ideas through print and online publications. Agora Financial is all about "fat-tail" ideas. Everyone on the team needs to be OK with continuous testing. Which means they also need to be OK with failing. At AF, failing = learning. And the minute you stop taking chances, shaking things up, and exploring new ideas is the minute you fall behind. They believe in putting in the hard work, and pushing one another. They believe that personal growth and development of individuals is only a small piece of the pie. And that the real wins are higher quality products for subscribers, and success for the team at large. .
We’re growing quickly and need your help to continue. If you like solving hard problems, can think analytically, and have the ability to receive a half thought out idea and turn it into an insightful deliverable, please keep reading. Who are we? BuySellAds helps connect great brands with hard to reach audiences. When Google Cloud wants to reach developers, we do the heavy lifting. We’re an adtech company empowering publishers and advertisers to connect more efficiently. Don’t let the “adtech” part scare you away: our mission is to help publishers better monetize their sites so they can spend their time focusing on what they care about (their content!) rather than selling ads. We leverage our tech to improve the experience for both sides along the way. Digg, CodingHorror. com, Pocket, and Dribbble are just some of the sites who we’re able to help make more money - connecting them with advertisers like Adobe, Microsoft, Google, Slack, and HelloSign, who are all able to expand their reach through us. We sell unique native ads that are often not accessible through programmatic exchanges, reaching a tech-savvy influencer audience. 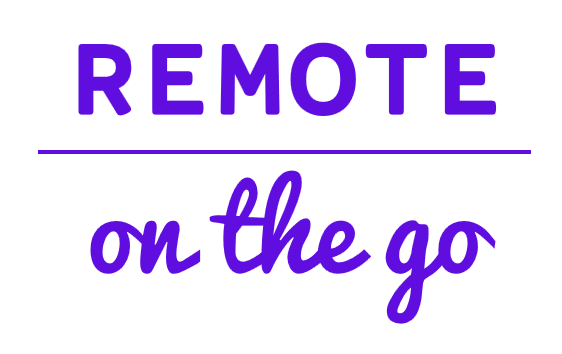 We are a fully distributed/remote team, with 45+ people spread out across 30 cities in 6 countries. We connect weekly through a video stand up and talk constantly through Slack. We empower teammates to contribute meaningful results. We largely work around an EST schedule but are flexible. Your Responsibilities: Develop strong understanding of BuySellAds media products Work in partnership with the Sales team to understand client objectives and needs Assist the lifecycle of a campaign from a sales conversation to a live, successful campaign Continually be in the know on our buyer campaigns and analyze for opportunities for improvement alongside sales representatives Assist in finding resolutions to issues Keep a pulse on all live campaigns for proper serving, click through action, and conversion events Assist advertisers with their reporting needs Obtain creative/3rd party tags and assist in delivery or creation when needed The Ideal Candidate: Obsessively checks emails and replies at an alarming rate Is excited at the opportunity to help marketers achieve complex goals Has experience in the advertising industry Familiarity with different online advertising pricing structures (CPC, CPM, CPA, etc. ) Is organized and structured but is not fazed by an out of the box request Has the ability to work independently, consistently producing meaningful results Is comfortable working remotely Ability to adapt in a fast-changing environment Strong analytical and problem solving skills Ability to prioritize tasks with a proactive "can-do" attitude Client-focused mindset with a passion for using data and analytics to drive business results Understanding of third-party advertising tags and reporting Is obsessive about web tech Bonus points for past marketing analyst or sales operation experience Interested? Amazing. To apply, send us a blurb about who you are and what you’re into to sales_q3_2018@buysellads. com. We do our best to make the hiring process fair and straightforward: we do an initial meet-and-greet Zoom screen, and follow with a team pairing to make sure our culture makes sense. We move quickly on decisions, and we aim to respond to every applicant and provide feedback where appropriate: even if we aren’t the right fit for each other, we want you to know rather than have to second-guess. .
You are a masterful writer who loves to write and is inspired by a good deadline! This is a fast-paced, high-production job and you must have previous experience in that kind of environment. You're comfortable with direct feedback and can make rapid changes when needed. Your style is conversational and compelling. We don’t take ourselves too seriously, and we like our audience to have fun with the content that we create. You despise spammy, “content farm” style writing. You create engaging, smart writing that will stand out from the endless stream of mediocre blog posts and sales emails. You have a results-oriented mindset. You're guided by data and you're interested in writing that produces measurable results. You enjoy circling back through what you've created to gauge its effectiveness, and you geek out on making changes or performing tests to optimize those results. You can view your work objectively to recognize what is and isn't working, then course correct as needed. You know our audience intimately - in fact, you love reading the same type of content they do. You get excited about topics like social media management, online marketing (especially for small businesses), and business productivity. You know how to turn a piece about a Facebook algorithm change into something that's actually entertaining and compelling to read, without sacrificing usefulness for style. You love a great tech tool and you're always on the hunt for what's new and interesting in our industry. .